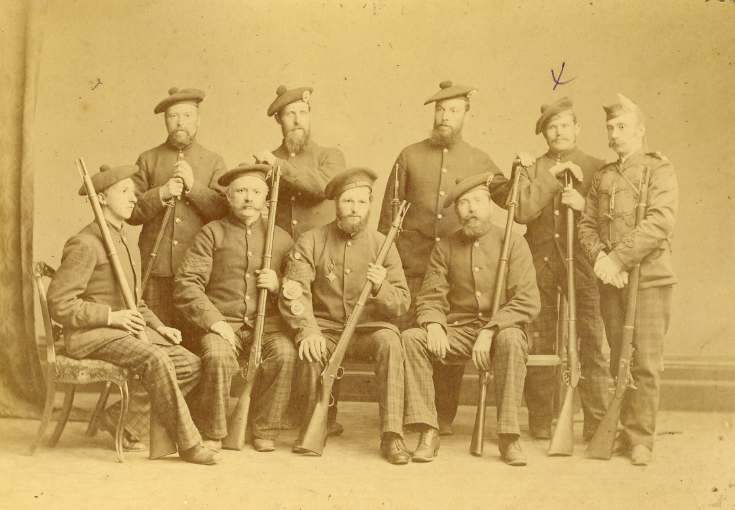 Photograph of winners of the Bannockburn Challenge Shield, 1883 (shooting trophy). Dornoch Company (Highland Rifle Volunteers?). Individual winner was Corporal J Sutherland. Note on back says see Rob Cord's green scrapbook 1883. Sgt Mackay in picture?